Episode 33: Spice Up Your Family's Food with Chief Spice Mama, Kanchan Koya — Didn't I Just Feed You?! “What is the best way to teach the world of spices to young ones?” is not just something that we ponder as your resident food nerds, but an actual question posed by a parent in our Facebook Listener’s Group. Luckily, we’ve got an in with the brilliant Kanchan Koya, aka Chief Spice Mama. And in this episode, we talk to her about spices and getting spicy — which, by the way, are different things. Ground spices and dried herbs are magic just sitting in our cupboards ready to make everything taste better without adding extra fat or sugar. Some people believe that in addition to adding flavor, they also add therapeutic properties to our diets. 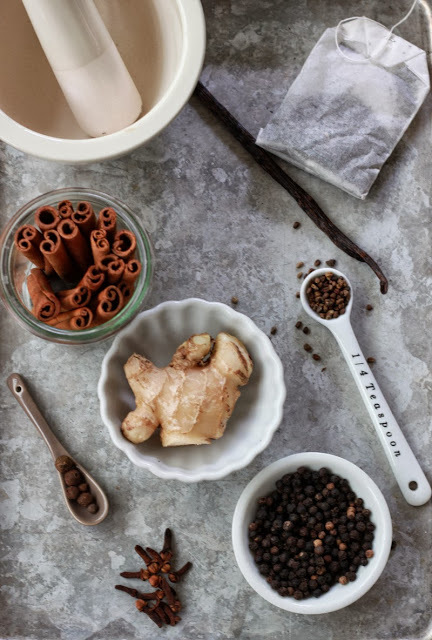 With so much good to offer and so little effort required to use them, we figured it was time to talk more about using spices, from how to buy and store them, to using them effectively, and choosing just a few of the right ones for effortless family cooking. Spices have started wars and built empires, yet we fear sumac because we’re afraid our four-year-old won’t eat their roasted sweet potato wedges when they spy the deep red flecks on their potatoes — even though all sumac does is add a lemony flavor many kids love. So let’s get something clear right now: When we say spice, we don’t necessarily mean SPICY. Though we’re personally fans of adding heat to our food, too, most of what we talk about with Kanchan is using a handful of truly kid-friendly, ground spices, as well as both dried and fresh herbs, to give your cooking a serious flavor boost without adding tons of extra fat, sugar, or (drumroll) effort. Variety is the spice of life — and child development? One of the best parts of the conversation begins when Stacie shares a story about her older son’s love for hot sauce. At one point in the discussion, Meghan asks an important question about child development: is feeding children a variety of flavors via spices in our cooking an important part of their sensory development? Listen to hear our thoughts, including a theory that Stacie has about kids with sensory challenges, and chime in too! Let us know if you think feeding your kids spices and a variety of flavors is an important part of their development on Facebook, where you can find us as @didntijustfeedyou. Kanchan Koya is the powerhouse behind the site Spice Spice Baby and eponymous book Spice, Spice Baby: 100 Recipes with Healing Spices for Your Family Table, though you may know her best from her fantastic Instagram @chiefspicemama and videos for BuzzFeed Tasty. As if that wasn’t impressive enough, Kanchan has a doctorate in Molecular Biology from Harvard Medical School and training from the Institute of Integrative Nutrition. While studying DNA repair as a PhD student, Kanchan’s lab began studying the cancer-fighting powers of curcumin, the active compound in the ancient spice, turmeric. This sparked Kanchan’s interest in the science-backed health benefits of spices, which she had grown up enjoying on a daily basis in India. So, yea, she knows that food can be the best and most powerful preventative medicine. You can find Kanchan experimenting with — you guessed it! — spices in her kitchen in Brooklyn, NY, where she lives with her husband and two kids, and also enjoys a good sweaty yoga class and sipping wine. Not usually together. OH!! And Kanchan’s new podcast we mentioned?! It launched! Listen to Momlight now! What are your favorite spices to use in cooking — and do you share with your kids? Because, c’mon Boise: Aleppo or bust. Kanchan was pretty clear: buying whole spices and grinding them yourself is best. But if you can’t bring yourself to take the step that grinding your own spices requires, be sure to buy your spices in small quantities so that you can use them quickly and buy them often. That will help you avoid stale, flavorless spices. AKA: Spices without their magic. In this pre-recorded episode, Meghan mentioned her overuse of the croissant emoji and then, coincidentally, she spent this last weekend making croissants from scratch! Be sure to check out her amazing process in her Story highlights at @stirandscribble. You can also catch up on Stacie’s two week Peruvian vacation, including lots of what she and her two boys ate, by checking out her personal IG, @staciebillis .